If you are a web publisher or own a Facebook page then you need to promote your Facebook page so that more and more people engage with your content. 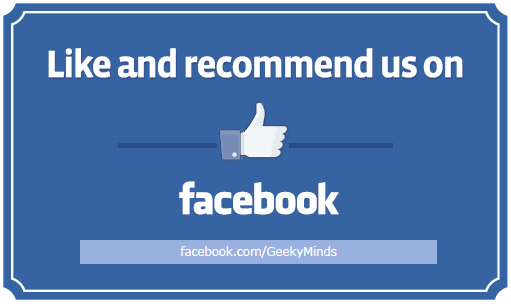 Today we have beautiful Facebook posters for you that you can get printed and bring more likes and viewers to the content you share. The posters are available in many designs and all of them are customizable and you can add your Facebook page URL to them. The above image shows one of the many Facebook posters. There are 24 varieties of posters available at the time of publishing this post. The poster are print ready, this means you can just edit the URL, like we did in the above example and get them printed easily. The posters are all in a single ” pdf ” file making it easy for you to download. Changing the URL once will change URL for all the posters. The file is just 342 KB’s in size. Local businesses, fast food shops, restaurants can get benefit by getting these cards printed and displayed outside their stores. Web publishers and other small scale business owners can use them to attract good audience without paying high amounts for advertising. you are good and your work is also good and valuable.